Folkmanis 2740 - Looking deceptively like a domestic cat, the bobcat remains wild at heart as it hunts through the night for prey. 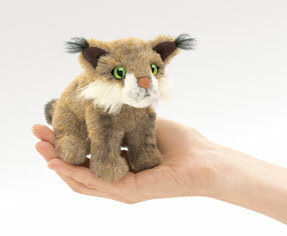 Bring the wonder of nature to your fingertips with this Bobcat Finger Puppet from Folkmanis. Finger puppet measures 4.5” tall.